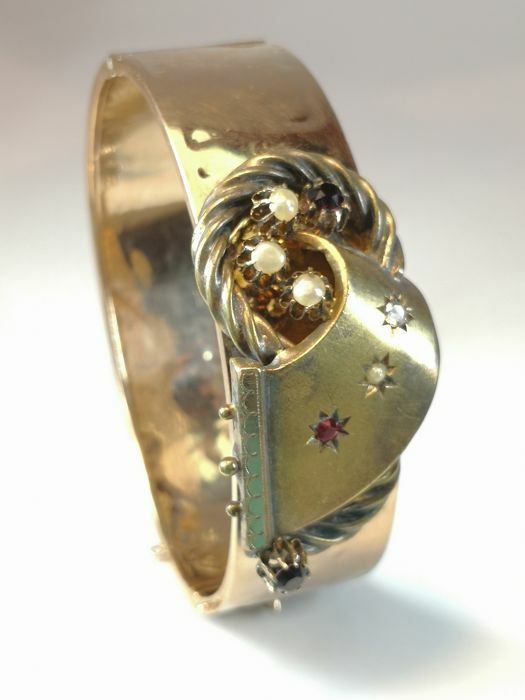 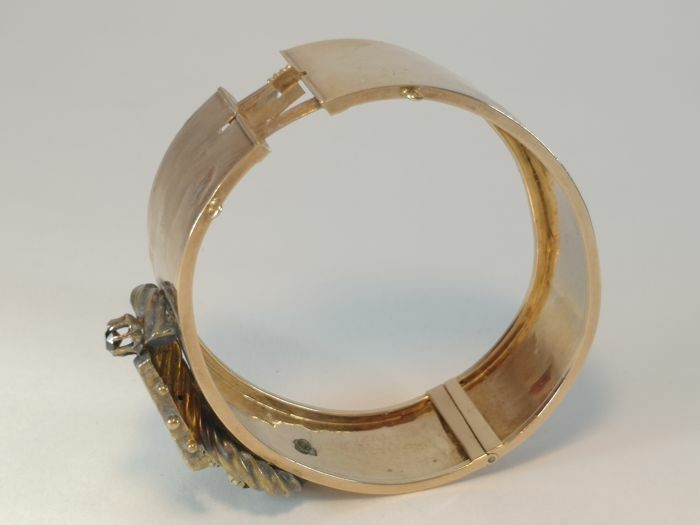 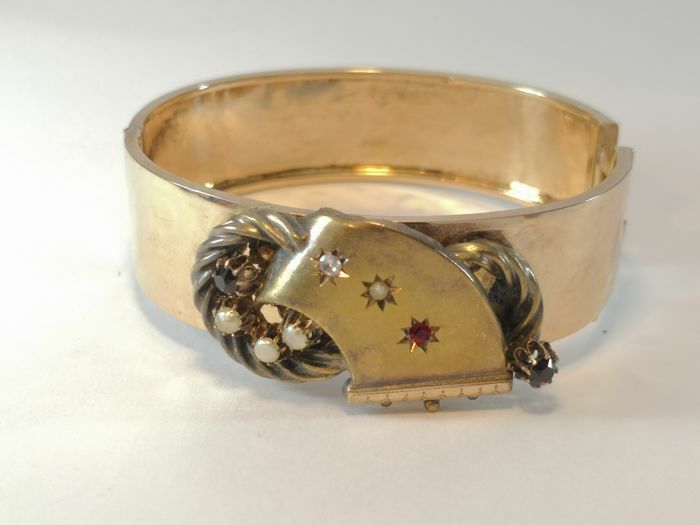 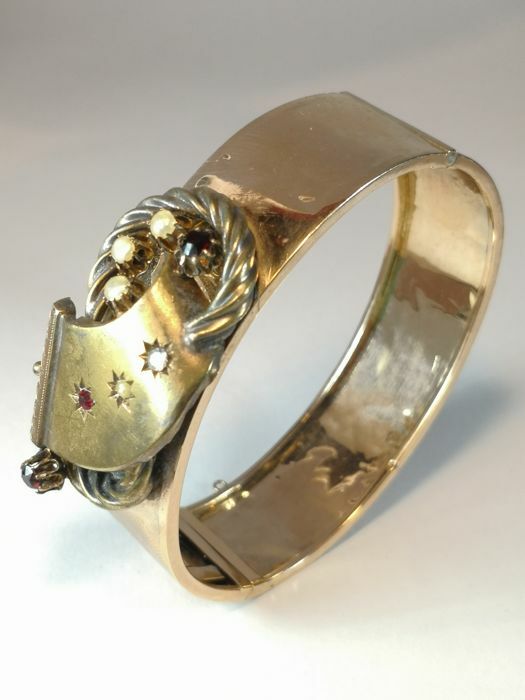 Authentic Bourbon bracelet in 14 kt gold, Sicily, mid 19th century. 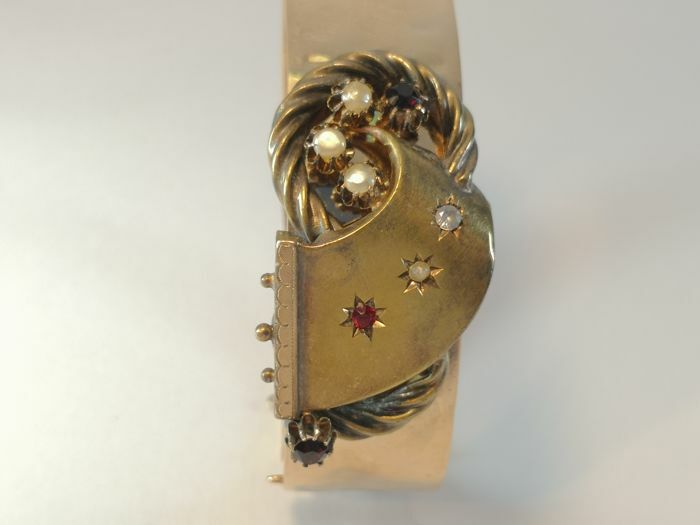 Wonderful rigid band bracelet in 14 kt gold, embellished at the top, richly tooled with scrollwork, small pearls and small gemstones including garnet, small diamond and ruby. 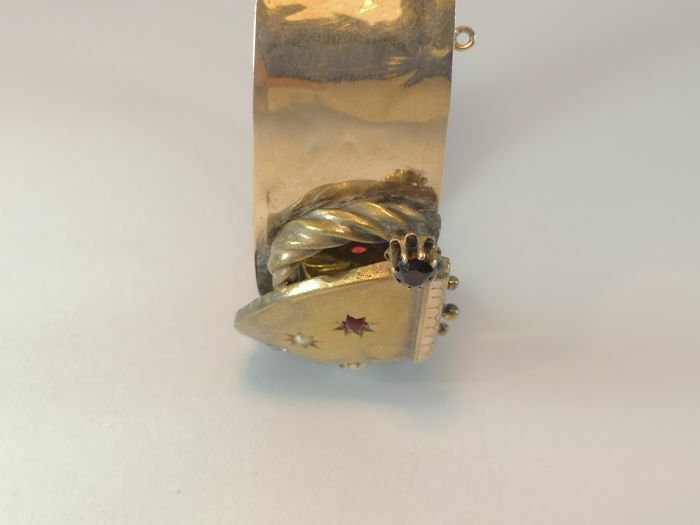 This is an authentic vintage item, full of charm and elegance, entirely handmade with the antique hammering technique, the traces of which can be seen, which was in use during that historic period. 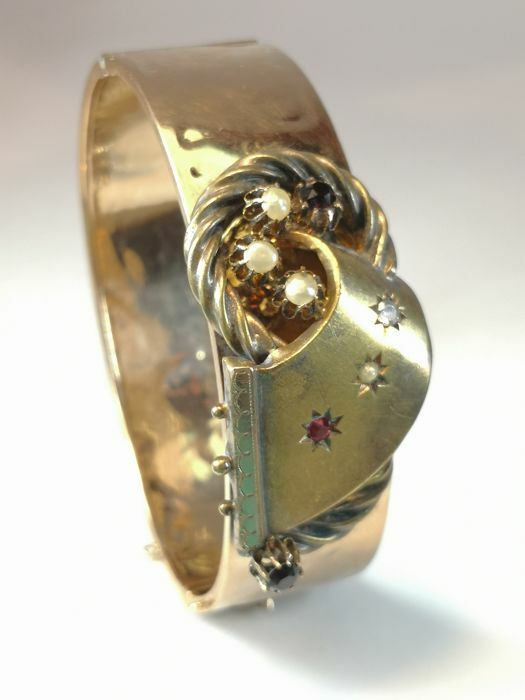 It is not a remake; it is an authentic, antique, very beautifully made item of jewellery. 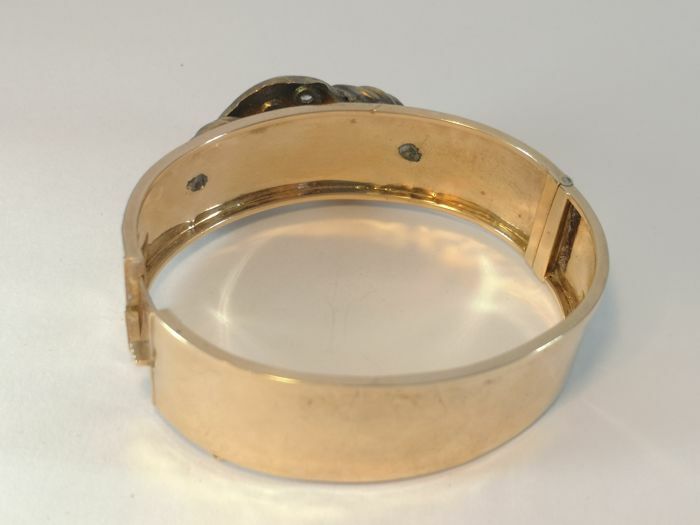 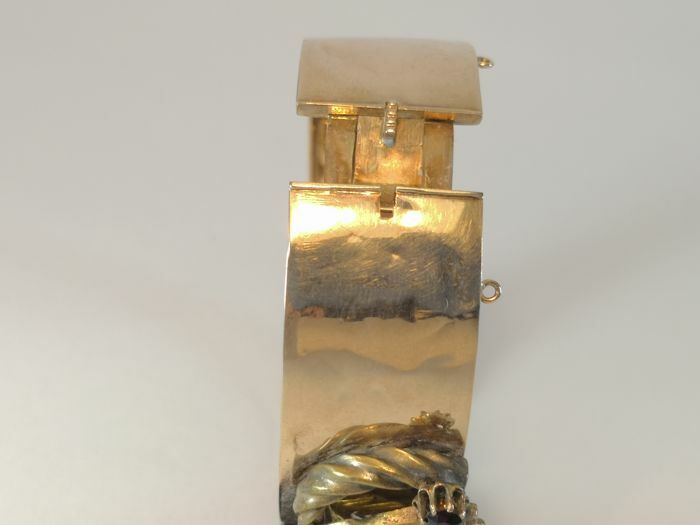 It is in very good condition, the clasp is in perfect working order, but it is missing the small safety chain. 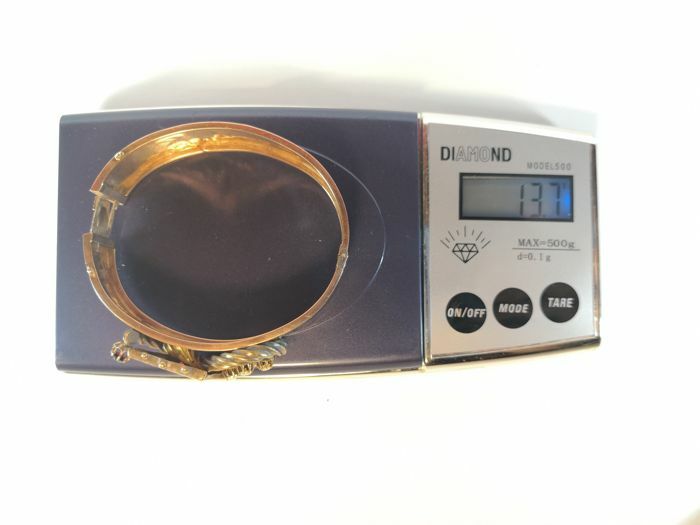 It is quite large and flashy, inner circumference: 18 cm, width: 2.2 cm, weight: 13.7 g.